ZANU-PF has ordered its structures countrywide to incorporate war veterans into influential positions as part of implementing the resolutions of its 2017 extra-ordinary congress which confirmed President Emmerson Mnangagwa’s leadership following the coup which swept away ex leader Robert Mugabe. The country’s former combatants of the 1970s Rhodesian bush war of liberation have been the backbone of Zanu-PF and for decades played crucial roles in keeping Mugabe in power, especially after the emergence of the MDC in 1999. 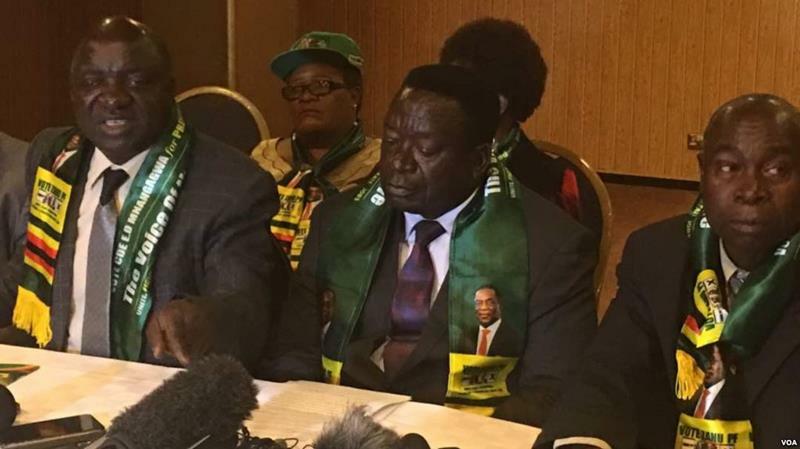 In a circular addressed to the party’s 10 provinces, the Zanu-PF commissariat department said the war veterans would be considered for posts of “chairperson and or vice and political commissar and or deputy political commissar”. “You will recall that the December 2017, Zanu-PF extra-ordinary congress endorsed a resolution on the elevation of war veterans of the liberation struggle both in the party and government. “In this regard, war veterans should be considered for the post of chairperson and vice chairperson in the event that if a chairperson is non-war veteran, then the deputy should be a war veteran or vice versa. “The same should happen to political commissar and deputy political commissar. “The posts of political commissar and deputy political commissar from cell to provincial levels should preferably be filled by war veterans,” the party said in its circular. War veterans played significant roles in keeping Mugabe in power particularly in 2008 when they waged a brutal retributive exercise against supporters of the MDC following the 95-year-old’s defeat to Morgan Tsvangirai in the first round of voting. They stunningly severed ties with the increasingly frail nonagenarian in 2016 – at the height of the party’s deadly succession, tribal and factional wars – which were only ended by the November 2017 military intervention. A number of war veterans’ national leaders have been rewarded with plum jobs in both Zanu-PF and government following the ascendancy of Mnangagwa.